CrowdTap Surveys Review: Scam or Legit Easy Way To Earn? 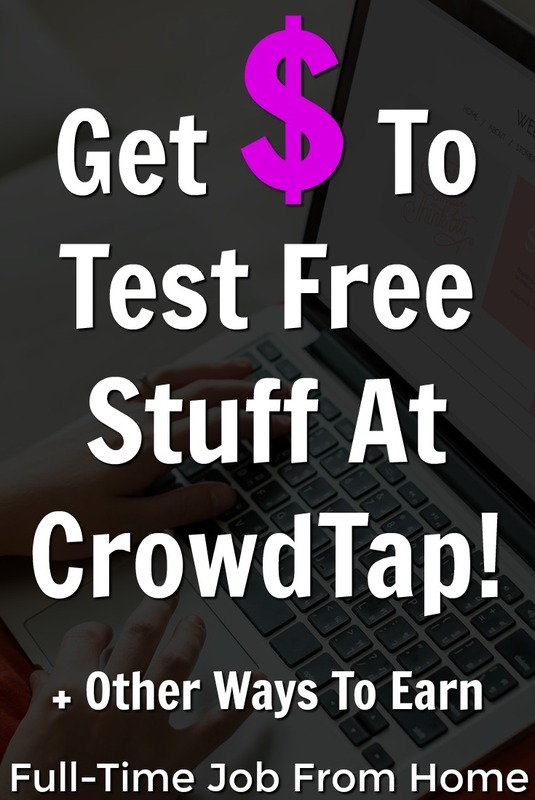 CrowdTap is a survey site that gives you points for answering short polls, surveys, and even testing free products! CrowdTap recently changed it’s designed and seems to be much better than the last time I thought about joining. Keep in mind that CrowdTap is taking surveys which is just extra income, you won’t get rich using CrowdTap. If you’re looking for a larger online income, I recommend checking out how to make a passive income blogging. In this CrowTap review, I’ll cover how it works, how to get paid, and see if it’s a scam or a legitimate way to earn! In this CrowdTap review, I marked them legitimate. If you take the time to answer questions and earn 1,000 points, you will get paid your $5 gift card. With that being said, this is going to be a small extra income so don’t expect much out of this site. Overall, I really do like the new layout of the site, and the surveys are extremely easy to take. If you’re cool with a small extra income taking surveys, CrowdTap is a legitimate option! The first step to using CrowdTap is to sign up; you can do so at CrowdTap.com. You can easily join with Facebook or with your email. It will take about a minute to complete your profile, and you’ll be all set up. Once you join, you have access to all the available questions on CrowdTap at that time. I’ve listed them below, gave a brief explanation, and an estimate of how many points it will earn you! Multiple Choice – This is the most common type of question available. 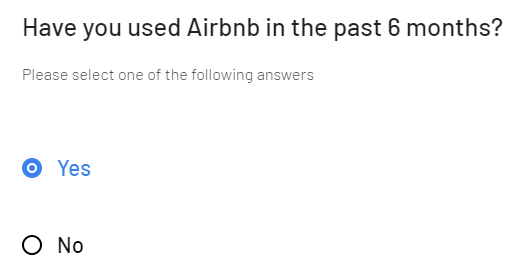 It might ask which of the following brands have you bought in the last six months or do you plan on buying a house soon. These are very easy to answer, take a few seconds, and usually pay 3-5 points. Surveys – These are longer and usually have several questions. Similar to other survey sites each survey will have a specific topic that you’ll answer questions about. These could take up to 5 minutes and usually pay 50-200 points. Focus Group – These usually require you to answer screening questions to make sure you qualify and then at a later date will require you to answer questions generally about a specific product. At this time there are no focus groups so not sure on how much they pay, but I’m assuming more than surveys, or they probably wouldn’t be worth it. Photo – These usually require you to share a photo on social media. Again, none at this time but I’m sure it’s close to the same pay as surveys around 200 points. Open Ended – These are open-ended questions that usually require a written response. None at this time so I’m not sure how much they pay. Samples – These require you to take a survey to see if you qualify. If you do, you’ll get a free sample in the mail and usually are required to share a review on social media. Some are paid, and some just give you a free sample. Sharing – These require you to share on social media about a product. They usually pay around 30-50 points! Below is an example of a multiple choice question you might see that will earn you 3-5 points. I also took a survey that was about eight multiple choice questions and earned 130 points! Once you earn 1,000 points, you can exchange them for $5 gift cards to stores like Amazon, Target, and Walmart! Once you earn 1,000 points, you can exchange them for $5 gift cards to Amazon, Target, Walmart, Steam, Adidas, PlayStation, and Xbox. They also have a tab for charitable giving but don’t have any options to get paid this way at this time. 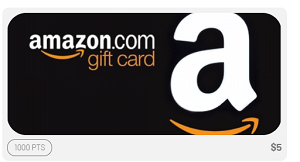 Their FAQs do not mention how long it takes to get paid, but almost all sites email your gift card within 7 days if not much quicker. To some, this isn’t a complaint, but it’s important to know this is just going to be an extra income that won’t make you rich. You can expect to make $5-$10 a month with CrowdTap if you use it and answer the available questions a few times a week. As long as you know that going in you should be happy with the site, but if you’re not, I recommend making a passive income with a blog as a better option for a large online income. My favorite way to get paid by extra income site is cash through PayPal, but with CrowdTap the only way to get paid is via gift cards. Luckily they start at $5 which is low, but I really wish cash payments were an option. If you’re like me, feel free to check out these extra income sites that pay via PayPal fast! 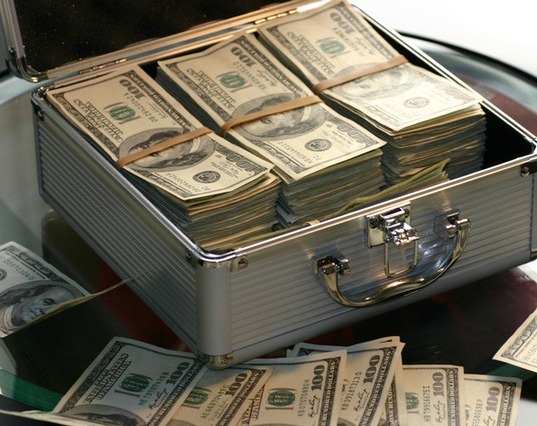 I’ll be honest, I make a solid online income each month just referring members to extra income sites and if you use extra income sites referring friends can be a pretty easy way to earn more. CrowdTap does not have a referral program at this time so if you like referring friends make sure to check out the extra income sites with the best referral programs! Is CrowdTap Surveys A Scam? I hope you enjoyed this CrowdTap Review, CrowdTap is not a scam and is a completely legitimate way to earn a small extra income online. Keep in mind that it won’t make you rich and will be a small income over time, but if you earn 1,000 points, you will get paid. If you’d like to learn more or to join, visit CrowdTap.com to get signed up. I personally prefer a similar site called PaidViewpoint over CrowdTap and you can see all of the Extra Income Sites I Use here. Do you have experience with CrowdTap? We’d love to hear your thoughts on this review in the comments below!